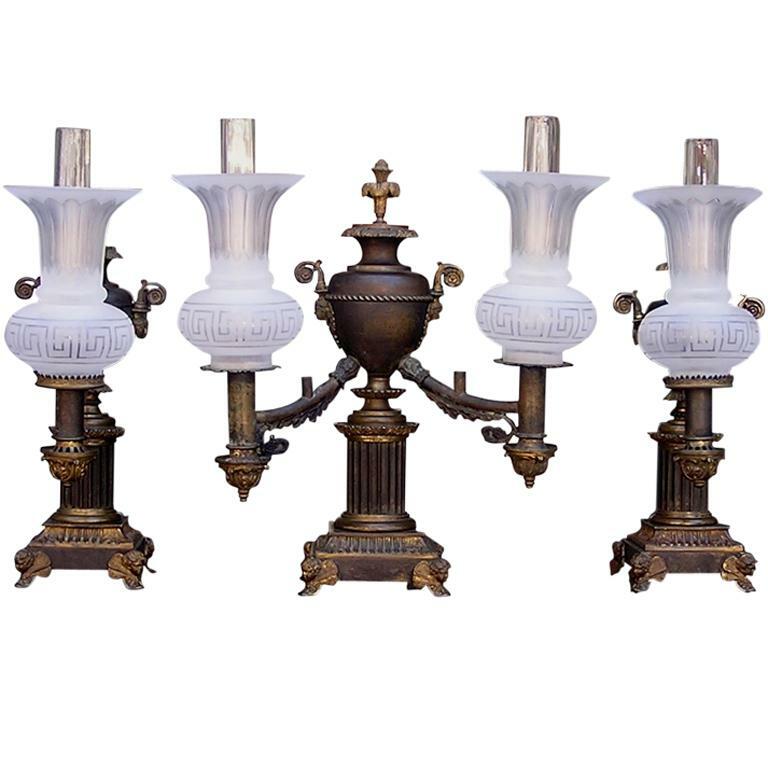 Set of three American gilt bronze argand lamps with centered floral urn, fluted circular plinth, each terminating on squared bases with cherub feet motif. Original condition, never been electrified. Can be converted to electricity if desired.